There’s a real dearth of truly exciting and innovative tech right now. Many widgets being launched seem to be samey-samey gear wrapped up in marketing verbiage in the hope that the emperor’s new clothes effect is real. (It isn’t). 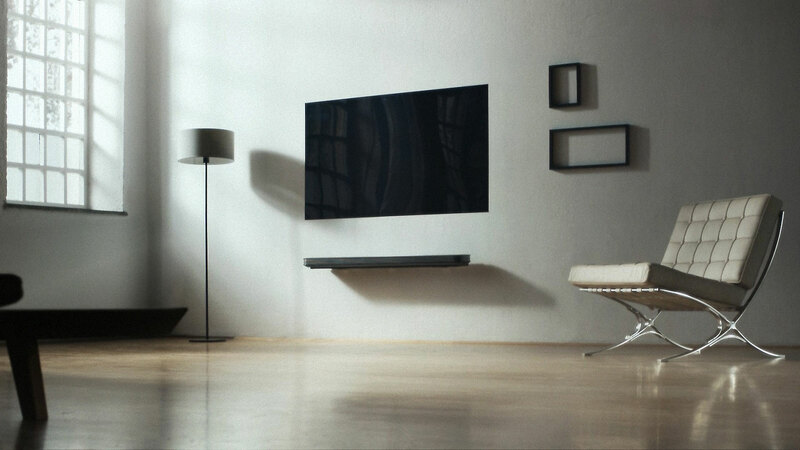 An exception to this is LG’s W7 “Wallpaper” OLED TV. 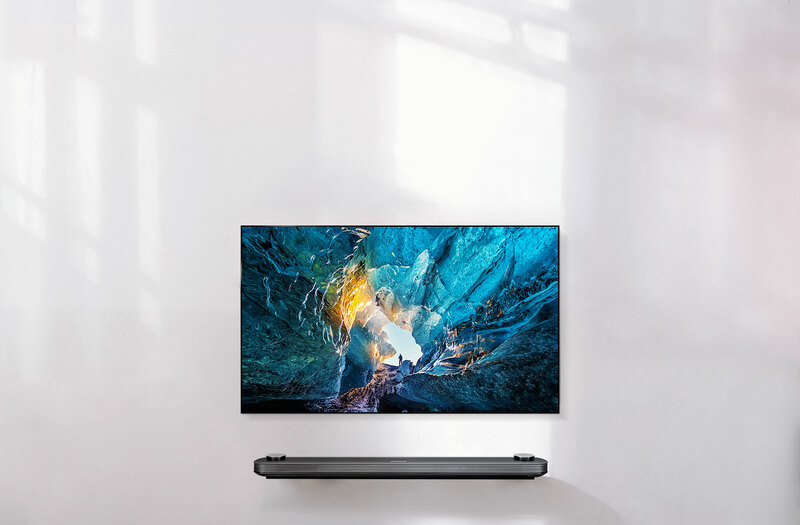 At just 2.57mm thin, it is bendable, attaches to the wall with magnets and looks more like a poster than a telly. Innovative? Check! Exciting? Check! But is it any good as a TV? Its futuristic design is a good start, but there’s a lot more on offer. Being an OLED TV, it delivers some of the highest quality video I’ve seen to date. As a second-generation OLED TV, it also delivers even better video than LGs first crop of OLED TVs. It is brighter, sharper and more accurate. Given the fragile nature of the W7 (it is after all, 65 inches sheet of plastic), LG didn’t send out review units, and instead brought reviewers to a hotel suite for some quality time with the TVs. I was given an hour or so and a pile of Blu-ray and Netflix content to play with. Truth was, however, that I only needed a few minutes to be astonished by the W7. While the W7 I checked out had already been installed in the hotel room, some checking revealed that getting set up involves both tricky and easy steps. The tricky bit involves mounting the TV. From what I could gather, a thin mounting plate is secured to the wall, and the OLED then panel sticks to the plate using magnets. Once mounted and connected, the setup process involves an on-screen cartoon character, Bean Bird, who guides you through the setup process. It is an intuitive, friendly touch that works well. The W7 had to ship with speakers and it also needed a way of getting power and inputs attached to a device that is only 2.5mm thick. Achieving this involved bundling a soundbar that has the needed inputs, plus a Freeview tuner. It is designed to sit beneath the screen and its two front facing speakers have top mounted drivers that bounce sound off your lounge ceiling to create a surround effect that proved to be quite immersive. As good as the soundbar is, it is surprising that LG didn’t choose to bundle a tuner/input box instead. 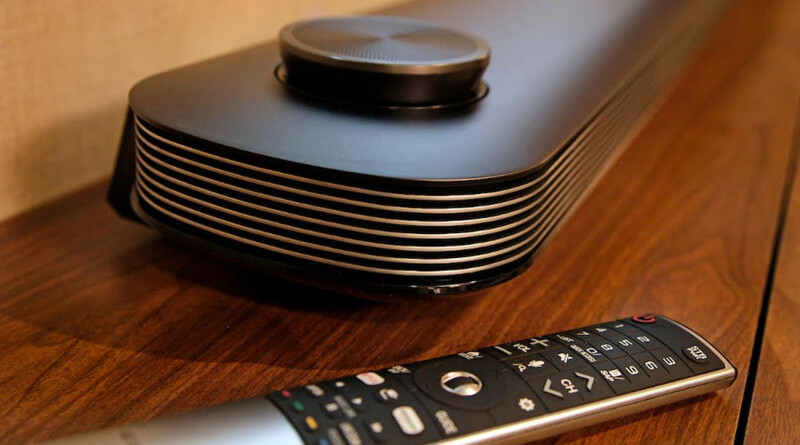 Given the stonking price tag the W7 commands, it is expected that most buyers will already have a pretty decent home theatre setup. That said, the soundbar also acts as a pass-through box for those with existing home theatre set-ups. The W7 also offers a bunch of tweaks and optimisations over last year’s OLED TVs. For a start, it is 25 per cent brighter. The other standout feature of the W7 is its contrast levels. Deep dark on-screen blacks really help lift the W7’s contrast levels off the charts. Support for HDR also means that shadow detail has been hugely improved. Being an OLED display, the W7’s colours exhibited a rich, saturated look. On-screen colours were accurate across the multitude of playback mediums, and whites were neutral while skin tones looked natural. The W7 supports Dolby Vision and the HDR10 standard as well as Hybrid Log Gamma (for broadcasts). There’s also support for an another HDR flavour developed by the folks at Technicolor. The downside of this at an industry level is that the growing number of incompatible HDR formats only adds to consumer confusion. The good news, however, is that the W7 seems to support virtually all HDR flavours. Driving the W7 is a doddle. This is thanks to the easy to use bundled Magic Remote and the WebOS user interface. The Magic Remote is motion sensitive and like a Nintendo Wii, uses wrist movements to drive an on-screen pointer. Arranged along the bottom of the W7’s screen are cards that list available inputs and content options. It’s an intuitive and well executed set up that doesn’t get in the way of viewing. There’s also a tonne of video pre-sets. My favourite was the HDR Cinema Home mode which has bright and dark room HDR settings. Using the latter, I found with it I wasn’t getting distracted by glare or after-images, and using the former, images could get brightness levels bumped up without detail being blown out. About the only picture processing feature I was less underwhelmed with was LG’s motion smoothing feature, which added edge artefacts to moving objects, but isn’t needed as the W7 handles on-screen motion beautifully. In short, LG’s bundled video mode pre-sets are so good that buyer won’t need to muck about with calibration Blu-rays. In terms of picture performance, LG have raised the bar for their competitors. With the W7 contrast levels nothing short of incredible, brightness is dazzling and colours accurate. So, is it any good? You betcha. It’s a pleasure to watch. While the W7 achieves that all too rare feat of being unique and exciting, it is also useful. About the only fly in the AV ointment comes in form of the $15,000 sticker price for the 65-inch model, or the breath-taking $39,000 price for the 77-inch model. The W7 may be as close to perfection as TV has got to date, but perfection clearly commands a steep price tag. If there is good news, it is this. 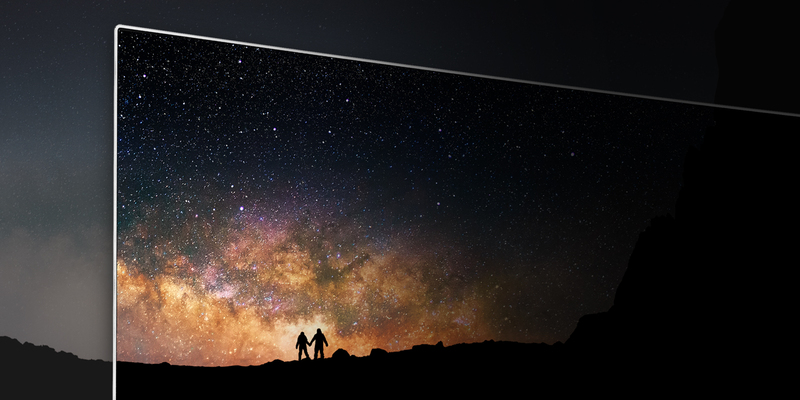 Most major TV manufacturers are gearing up to launch OLED TVs. This should drive up economies of scale and spur competition. Here’s hoping it also drives prices down from their stratospheric heights so us mere mortals can hop aboard the OLED TV express.